Born way back in 1970 in Rochdale near Manchester I first started my professional life on the fruit and veg stall at Tesco’s! After various jobs including frozen food delivery driver, flower salesman and glass collector I eventually qualified as a primary school teacher in 1992. Eight long, exhausting but wonderful years later I decided to quit the classroom and have a go at writing children’s poetry and suddenly I realised that life would never be the same again! 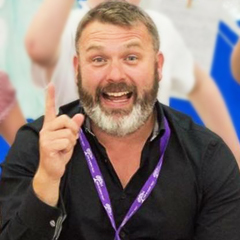 Since October 2000 I have worked as a professional children’s poet and performer and have visited literally hundreds of schools, libraries and festivals both here in the UK and all over the world. 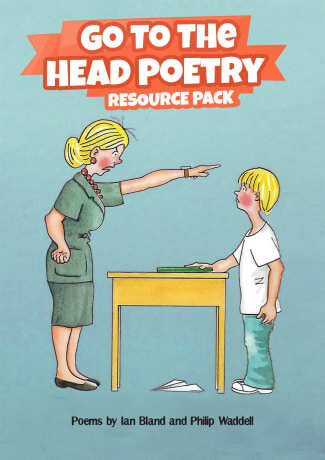 I have work published by Macmillan, Scholastic, AC Black, Oxford University Press and Hands Up Books to name just a few. My work was recently featured on BBC1’s Match of the Day and I have performed many times on regional and national radio. I’m married to Kathryn and have 2 beautiful twins James and Madeleine aged 12. We live in Crawshawbooth in Rossendale, Lancashire where the scenery is truly beautiful and while we love the rain and all it does for our garden we long for just a little bit more sunshine!